Lieutenant Heyd Calder is a Primaris Marine whose mastery of warfare is matched only by his diplomatic prowess. Under the orders of Roboute Guilliman, he is deployed to Almace, a minor seat of the Ecclesiarchy, to protect the world at whatever cost. Yet even as diabolical forces leer from the system's edge, Calder discovers that the capital's Cardinal-Governor, a sharp, inscrutable figure of spiritual and material authority, is hiding something. When it becomes clear that conquest is not the enemy’s sole aim, Calder resolves to uncover the secret of Almace. 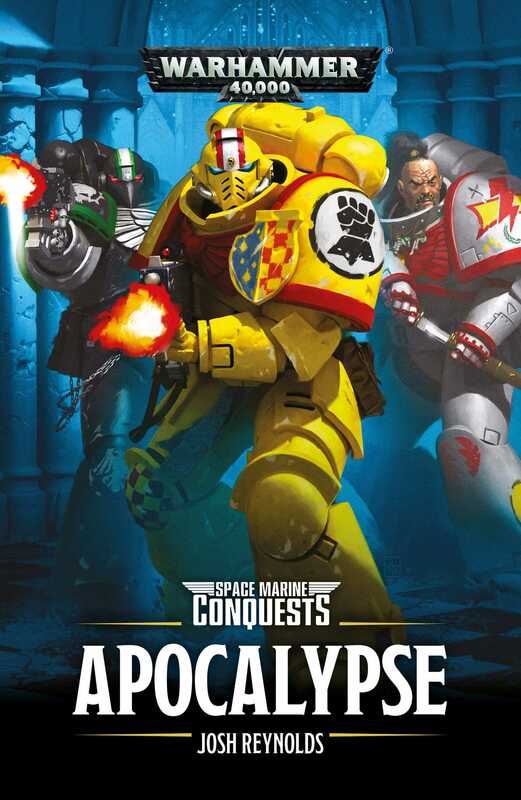 As the system is set ablaze, clashes of faith, strategy and politics ensue in the capital, and it becomes clear that the forces of the Ecclesiarchy and the Adeptus Astartes must fight together if they are to have any hope of victory.